Music for me is almost like a daily routine. I wake up turn on my radio and begin getting dressed for the day's events. Then i'll jump in my car and drive to my next destination, all the while tuned into Triple J. For me music is an amazing thing, firstly, it can make you feel all different kinds of emotions and even remind you of people, things or moments in your life. One song.... yes it only takes one song to spark some sort of thought or mood and i find that just insanely mind-boggoling. Once i began writing each song that i love i really couldn't stop, the list just got longer and longer. It is really quite amazing how many incredible songs the band has produced that i'm completely obsessed with still to this day, since the band first released their music in 2007. To sum up the band's sound in just a few words or less, i would describe it as a combination between the rock and soul genres. Not only are their creation of tones inspiring, but even the music video's are simply just beautiful. The depth and emotion that is put into each video is so entertaining and my eyes are glued to the screen every time i play a song on Youtube. My friends and I recently played one track from the band and we couldn't stop at just one song, we played the whole album of 'How Big How Blue How Beautiful'. So there were eight eyes just drawn to the computer screen, just simply watching the delicate shots and listening to the waves of pure and perfect melodies. I wouldn't be completely honest with you if i didn't tell you that i am actually listening to the band right now as i project my thoughts on to you. To me its almost completely insane to be so obsessed with a person's sound or even their talent to make the sounds. Yes i guess it might be insane but it's pretty incredible when you think about it. You know how if you play a particular song that your crazed about over and over again and then you tend to get over that song within a week.... Yeah that's not the case with any song from Florence and the Machine. For every first time i hear a new song from the band i am instantly attached to it, and as many times as i overplay it on Itunes when i'm at work or Spotify before i go to sleep, i can never quite make myself annoyed or i guess over the songs. Personally i think thats an amazing trait that a band can have. Im in awe pretty much every time i hear a song and i'm super excited to share that i'll be seeing the incredible band at Splendour In The Grass (SITG) this year!!!!!!!! yes i still cant believe that i'll witness their sound and their presence live. If you have heard them live or will be at SITG this year too than what a moment we will be living or for some of you have lived. I definitely think it will be a memory for the record books. I recommend you take a quick listen to at least one of the songs i wrote in the list above, although be aware you may become hooked!!!! Well now i think it's time to leave you to stop reading this post and switch tabs to Youtube where you will bless your ears with a song from Florence and the Machine. To be honest i'm going to go do the same thing right now. Readers enjoy the magic that awaits you.... just over on the other tab. As a young fashion enthusiast, it becomes almost like a hobby to look in fashion magazines to acknowledge what the current trends are in society. It's also a key essential in getting dressed everyday when you think about it. We are all guilty of looking to the media and seeing what Kim Kardashian is wearing on the street or Cara Delevigne on the runway. Our very own personal style is inspired by what we see and obviously what trends attract us. Fashion Trends are continually changing, and thats what i believe makes fashion so interesting. Fashion tends to move in cycles, features repeating themselves from time to time are known as a classic. Classics are almost "non-sense" pieces that withstand influence from trends to fads. And if your unaware of what the term FADS means here is a little definition i got from Google; an intense and widely shared enthusiasm for something, especially one that is short-lived; a craze. So if were relating that definition to fashion in a more simpler approach; a fashion fad is a piece that has lets say 'expired' in society. A fad that you might remember and even worn are; Jelly shoes, double denim, and waist coats.. and there just to name a few. But in saying that these fads are coming and going all the time. When i'm scrolling through my Instagram feed, i have seen many models wearing double denim, therefore i ask myself: 'are these really fashion fads if there still seen in the media?' Like i stated before Fashion trends are always changing and that is a definite! So what is the opposite of a fad? a classic of course. A classic feature is one that is simple in design and will never go out of fashion. A classic garment may experience slight alterations through years; however it will basically stay the same. Bold colours are always in style, such as black, white, navy and red. To take this further, more trends that i believe are a classic in the fashion world are: high waisted denim shorts, a turtle-neck cut and maxi skirts/dresses. These are to be honest my favourite trends that i love to wear in my own personal style. Denim shorts have been around for a long long time now, and i believe they will be around for a lot longer. Every girl has a pair of denim shorts in their wardrobe and to be perfectly honest with you i have four!! There is such variety when it comes to denim. for instance; denim shorts, jeans, skirts, tops and jumpers. Lately i have been loving my pair of dark blue wash mom jeans from Topshop! I love a casual, comfy and vintage inspired jean and i think Topshop have a great variety in styles. Also Levi's are the king of jeans!!!! I don't think i've met anyone who doesn't love a good pair of Levi's! Here is a list of brands that have killer jeans if your interested in stocking up your wardrobe with a denim classic. Another classic that i am obsessed with at the moment and i think everyone is..... TURTLENECK sweaters, tops and dresses. Neckline trends like V's or cowl necks come and go constantly, but a trend that is always close by our sides is a turtleneck. Turtleneck sweaters have definitely earned its place as a classic, because there cozy as hell, a cute design and they bring focus to your features. A turtleneck sweater is always a favourite of mine for winter, however, in many stores today they are stocking up on out turtleneck knitted tops and cotton dresses. I personally am really happy about this trend and i definitely think it will continue to stick around. Again here are a few garments i like of this particular trend. When writing this post it almost took my mind back to school and tested what i remembered about fads from my Home Economics class. I hope i've given you reader some insight into some trends your excited to wear or even given you the chance to reminisce on them. If you liked this post let me know and ill continue to share with you what trends i enjoy as well as sharing some brands and labels with you. 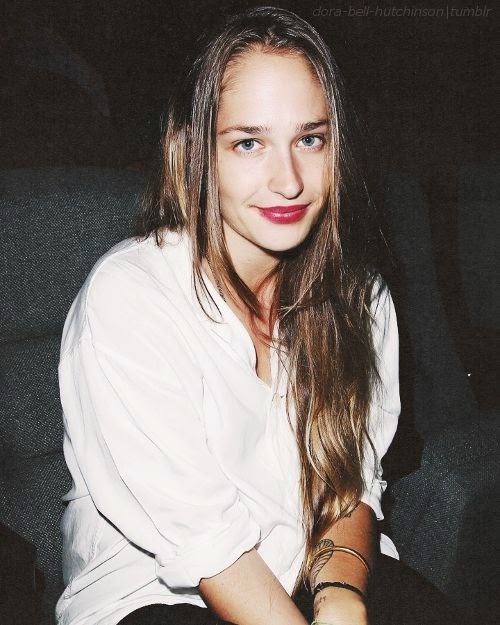 Jemima Kirke a true and natural beauty. Jemima is a British artist and actress and is most popular from her role in the hilarious television series 'Girls' created by Lena Dunham. The fresh faced bohemian chic really has an eye for style! From growing up Jemima was influenced around vintage clothing from her musically inclined and artistic parents. She has a real boho inspired and timeless personal style. After watching the actress in 'Girls', her character is very fearless and presents a free personality. After seeing her face in magazines and online, i cant help but love her carefree and effortless sense of fashion. 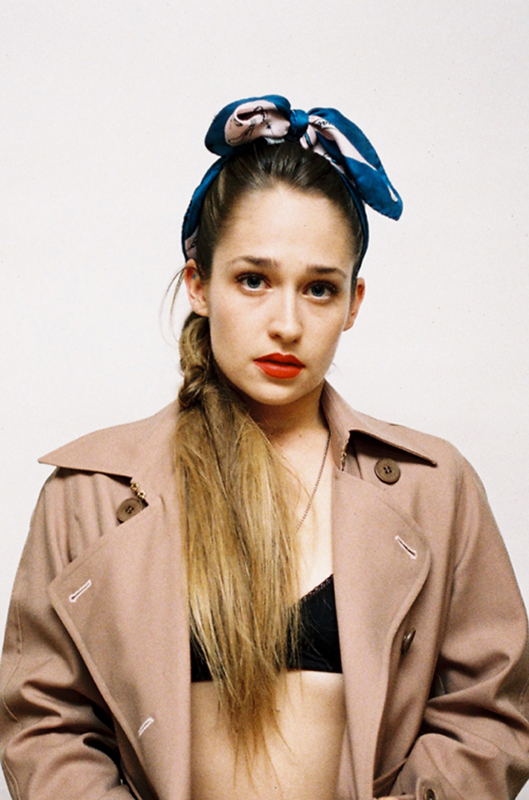 I personally really love a wardrobe full of kimonos, hats, jeans, and floral prints, and this why Jemima Kirke is definitely one of my style muses. Her personal style is a variety between vintage and designer brands and she is often seen in the media wearing, art-inspired prints, flow fabrics and a large range of kimonos. Defiantly my kind of fashion!!! I love that her style is so simple yet she has her own twist on it, which really makes it so easy to love. I feel almost inspired by Jemima! After watching her character in 'Girls', i instantly felt a connection with her role. What i love about the natural beauty is her seemingly easy going and free soul, and this definitely has a good impact on her style. At the start of every year i always say to myself that this year will be different... Ill do more, see more and say more. So pretty much i set a new years resolution for myself that i generally never stick too. It gets to the end of December and then i realise that i still haven't achieved what i said i would in January of that year. My previous new year resolutions are the general ones you here from other people pretty much; 'time to get fit!' or 'i'm not drinking soft drink all year!'... We all know no one really sticks to these rules anyway, so whats the point on setting them. My point is, this year i thought a lot about starting a new resolution to stick to for 2015, i thought: 'swim in the ocean every day' and 'read a book every month'. So in my head i thought these were really great ideas, but then i realised these are just the same old normal resolutions you hear all the time but with a bit of a twist. Personally i don't even really like new years resolutions i think if you want to stop doing something or you want to achieve something you should just go straight ahead and do it anyway, like why wait for the start of a new year to say you'll do it, what stopped you throughout the year?!? In theory i understand the point of them and i do agree with it. But instead of saying ill stick to this and i wont eat that, i decided that for 2015 i'm going to have a list of things i can just look back at to always ensure i'm doing it. I was actually inspired by this on Tumblr, but i thought what the hell i'm going to pin it to my own lifestyle. These points may seem a little corny or silly to you, but when i first read them, i thought that these are the things i do already in my life, but if i'm a little slack i want to always remember to do them. So i guess its my way of a NEW YEARS RESOLUTION!!! some of the points are as simple as eating a good meal but to me i feel like it goes way deeper and more personal than that. I feel as though the more things you say yes to or trying new things can lead to an even greater thing. Maybe these points are just the motivation i need in my life for this year, because without school taking up all my time this year i'm going to have a lot of free time and i hope more opportunities. In reality it is a big world out there and i think now that i have the freedom and time to do what i want, i think the thought of real life is finally kicking in for me. These are a few shots from a recent afternoon my best friend and I had. 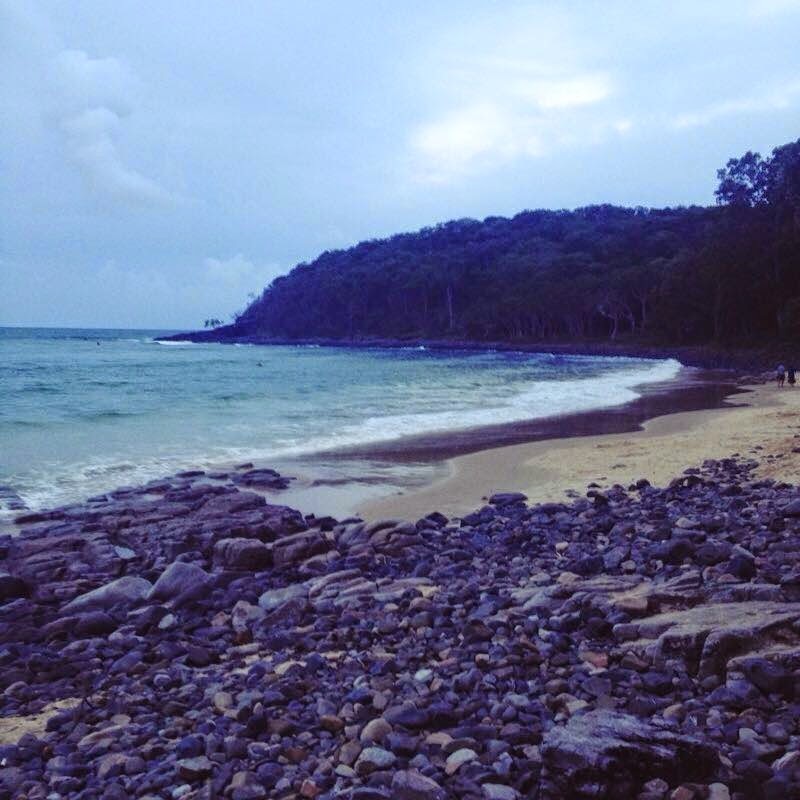 We ventured to a little private beach, where we had to walk through the national park to find it. 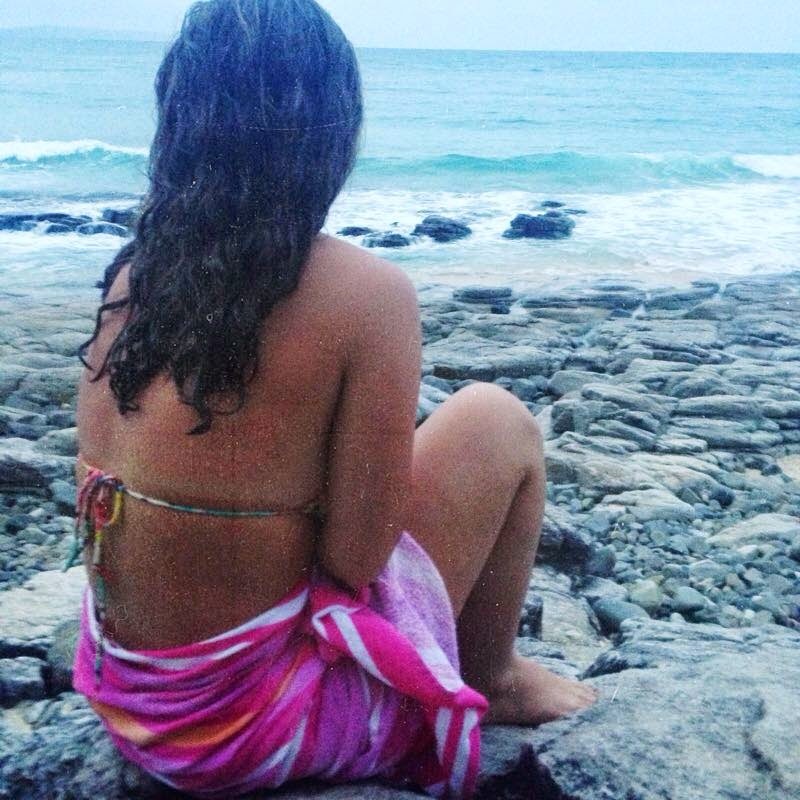 It was a really relaxing and calming afternoon, as we spent several hours swimming in the warm and tranquil waters. It was really nice to be out in the ocean during the late afternoon. 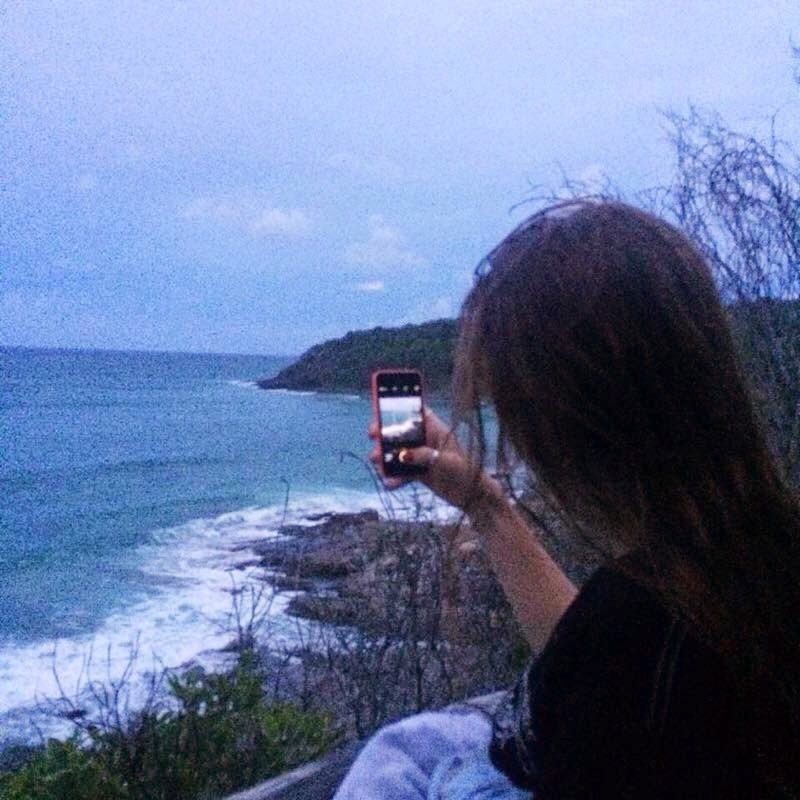 We spent our time diving through waves, climbing rocks and taking several snapshots of the trees, water and overall natural habitat. In a way the afternoon seemed to feel a little therapeutic. After swimming in the ocean and adventuring on walks, it really proved how much we appreciate where we live and how lucky we are to have the beach practically in our back yard. FreeStyle Teaser from FreeStyle on Vimeo. This is a little sequence i made at school. Just threw together a bunch of pieces of footage i had lying around for a separate school production. The 70's..... What an ERA! Ahh the 70's my favourite era! This era is remembered due to its funky clothes and peaceful vibes. Of course i wasn't alive in the 70's as i'm a 90's kid, however i surely have watched enough sitcoms set in this era. I also did some research to gain some more knowledge about these action packed years. So google says; 'it was 10 years full of changing fashion trends, from brightly coloured flared trousers and tie-dyes tees to jumpsuits and peasant blouses'. It was also a time of freedom for women in the 70's, as this era is called the DECADE OF CHANGE. All of that mumbo jumbo that 'women should be left at home' (complete nonsense), anyway more jobs became available to females and the change in sexual revolution allowed them to be at ease with themselves, AKA having the ability to let there hair down, and not living with the fear of judgement or a bad reputation. Taking it back to the fashion side of the 70's, i really love looking back at photos from this era, for example photos of my parents in their teenage years, as well as watching old sitcoms from this day in age. During these years it featured a whole lot of mini and maxi skirts, high and low-waisted jeans and platform shoes.. if i'm not mistaken this style does sound pretty familiar as to whats in style at the moment! A personal favourite TV show that is very recent, however is set in the 1970's, is 'Puberty Blues'. The show only aired for 2 seasons on our screens, however i watch those short 2 season on repeat. The thing i love about this TV show is that it is set in the 70's, were the lifestyle was relaxed and the style was unforgettable. I am seriously obsessed with the costume designs, but not only that, the vehicles they drove back in that time, as well as the the overall lighting that the producers captured when filming the series. The warm orange and pink tones, the continuous sounds of the ocean, and of course the long-haired, surfing goddesses, (SEAN KEENAN!!! ), really draws my attention to the screen. I would like to say my style is influenced by the 70's, as my wardrobe is overflowing, with high-waisted jeans and denim shorts, Doc Marten boots, maxi and mini skirts and simple t-shirts. I also live in a very relaxed and beachy town. Every-where you look there is surfers, and i'm definitely not complaining!! Of course there is a lot more freedom in this day of age, in comparison to living in the 70's... But even technology made a huge boost in the early 1970's, which is when the invention of the floppy disk came to shelves, as well as coloured television in the late 70's. In modern society technology has definitely become more advanced,as we are introduced to a series of different IPhones, cameras and computers, even books can be read online ! like what??? Anyway, i definitely think modern society has been inspired by the 70's era, whether it be the clothes, the life-style or the morals. Personally i just really love the outfits! Like i seriously get excited when i see photographs from those years, all you have to do is Google the 1970's and you'll understand what i'm talking about! I also recommend you give the television series 'Puberty Blues' a shot, it is pretty hectic but it is also very entertaining. I also forgot to mention that it surrounds the life of two young teenage girls, therefore it can be very relatable to whats going on in your lives at the moment. Well it has come to an end of another blog post, thanks for giving the time to take a peak at this posts FreeStyle readers. 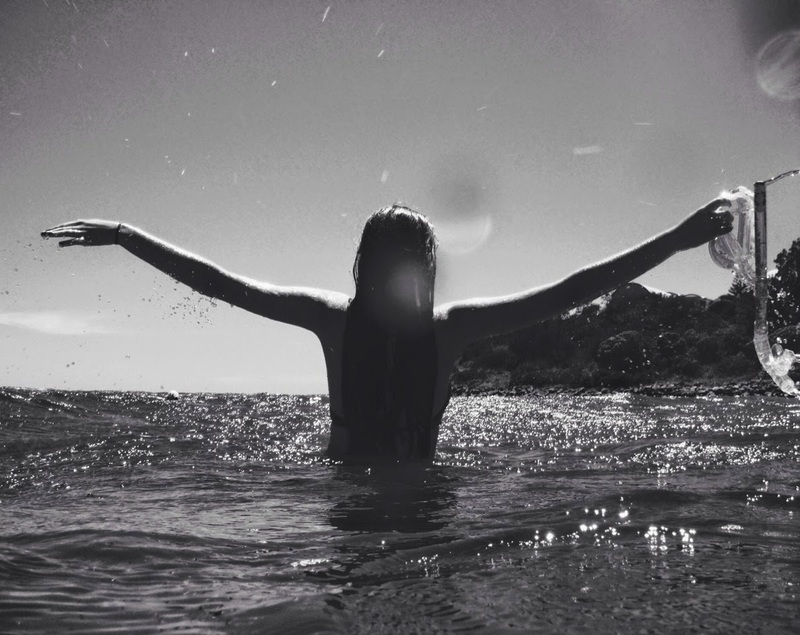 FreeStyle Blog - By Hannah K. Simple theme. Powered by Blogger.